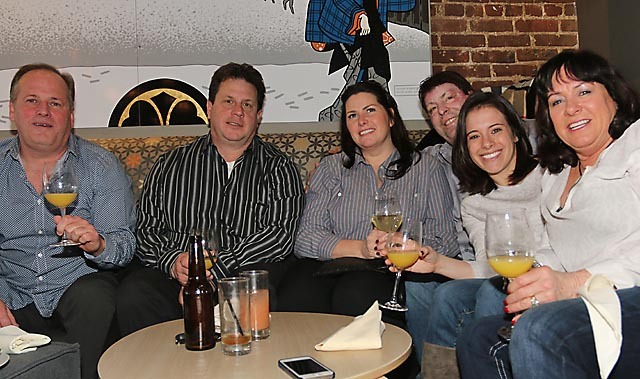 A benefit for the Asbury Park St. Patrick’s Day Parade was held Feb. 22 at Taka in Asbury Park. At the event Chef Bruce Van Sickle served Ocean Township residents Caesar Lins and Jussara Lins. The parade will be held on Sunday, March 8, 2015. The parade kicks off at the boardwalk at 1:00 p.m., travels down Cookman Avenue and ends on Main Street. 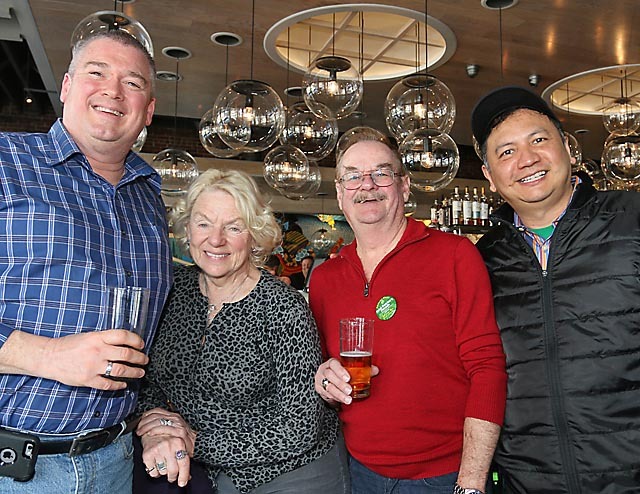 Also at the benefit at Taka were (from left) Ocean Township Councilman Mike Evans, Helen and Pat Barrett, Wall Township and Gary DeGuzman, Wanamassa. 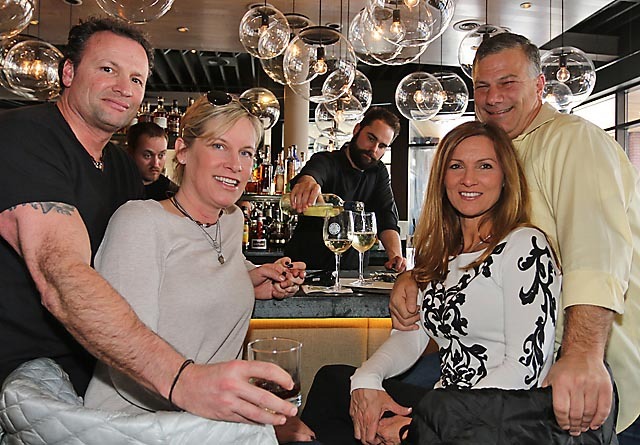 Enjoying themselves at the benefit at Taka were Keith Elphick, Asbury Park; Patti Harvey, Interlaken; Jackie Hurley, Ocean Township and Keith Ortner, Asbury Park. Bartender Patrick Mazzola was serving them. 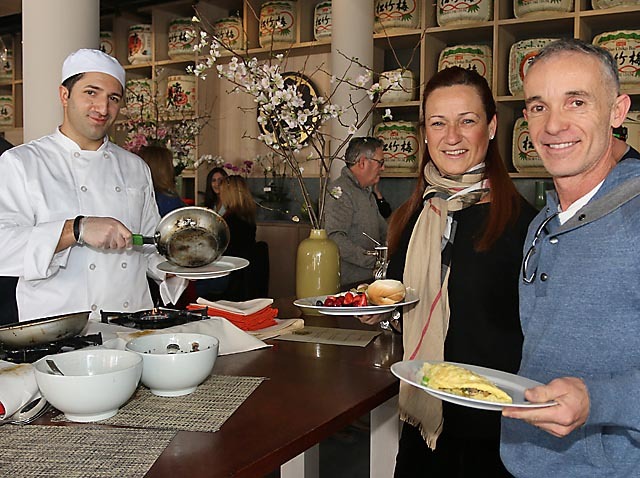 Enjoying themelves at Taka at the benefit brunch for the Asbury Park St. Patrick’s Day Parade were Tom Gironda, Neptune; Mark Donofrio, Spring Lake Heights and Ocean Township residents Barbara Fazio, Jason Fazio, Tara Cadet and Debbie Fantini. Posted in Asbury Park City Desk and tagged Asbury Park, Out & About.